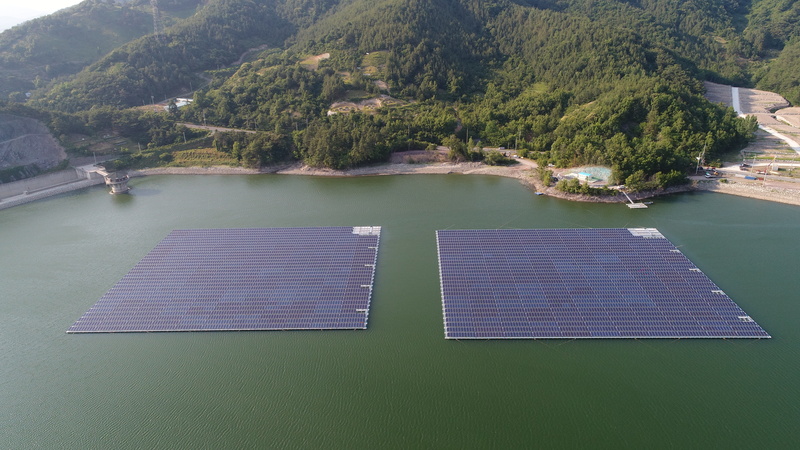 The Geumjeon reservoir solar power park has a generating capacity of 2MW and the two plants measure 110*100 meters in size each, producing electricity that can be used by 660 households at the same time. In general, a water solar power plant is a photovoltaic power generation system that is installed on water, and it is extremely important to maintain the ability to float without issues because it must maintain power generation for more than 20 years. That is why SEAFLEX is being used more and more for these types of applications. “The development of renewable energy is being pursued not only to reduce greenhouse gas, which is one of the core goals of the climate change era, but also to develop eco-friendly energy.” said the client and Korea Rural Community Corporation president.